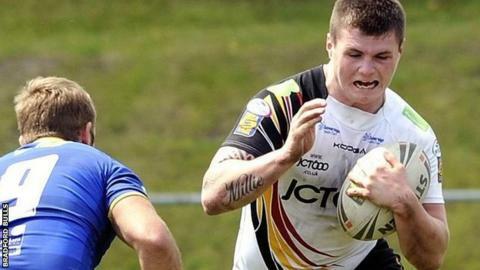 Bradford Bulls will be without forward John Bateman for their Easter fixtures after he was banned for two matches. Bateman was handed the ban by the Rugby Football League disciplinary committee for a dangerous tackle on Brett Seymour in his side's defeat by Hull FC. The 18-year-old was also fined £300 for the Grade C offence. Meanwhile, St Helens duo Paul Wellens and Adam Laffranchi will miss their side's game with Wigan Warriors after being handed one-match suspensions.